Let’s start with a part of India that is very special for tourism – north-east India. How is the government working to promote that as a destination for overseas markets? The north-east is so spectacular. It is incredibly beautiful but the fact remains that the region was ignored for a very long time. No investment has gone into basic infrastructure there and of course, nothing has happened regarding tourism. So, the inflow of tourism into the north-east is very little. Also, the north-east has such amazing music, dance and textiles. The people here are so amazing and these things need to be presented to the world. Our focus is basically on the creation of infrastructure. The Ministry of Road Transport is investing a lot of money to provide good road connectivity to the entire north-east. They have been providing rail connectivity even up to Arunachal Pradesh, Manipur and Mizoram. All these are absolutely coming on the rail map of India and that would bring in a whole lot of tourists and make their journey easier. Of course, we now have flights going to most north-eastern states if not directly from Kolkata. A new airport is going to be made in Sikkim, which will make the journey to Sikkim much easier. These are some of the things we are doing to promote north-east in both the national and international markets. In terms of on the ground activity in international office, talking to tour operators, etc. Are you presenting them with itineraries of north-east or are you presenting them as a single state? We present India as a whole. But we also kind of promote products these days like Yoga, Ayurveda, wildlife, etc. To promote wildlife, we are going to develop the Kaziranga Park, one of the most iconic sites that we have. Also, we have made a movie on wildlife based on Kaziranga which attracted about 25 million views in one week. So, these are some of the things that we are doing. 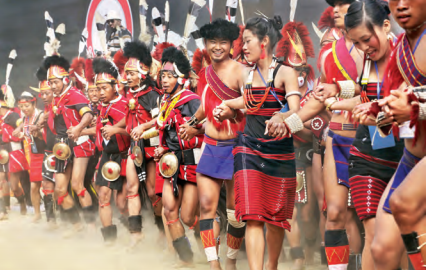 We also intend to promote the Hornbill Festival in Nagaland. We have asked each state to tell us about one festival which they want us to promote internationally. You’ve been talking about connectivity, but what about on ground infrastructure such as hotels and home-stays? How are they progressing? Is there a shortage of capacity there? There is a shortage, so we need to have bigger investments coming into the north-east. Even though we have some good hotels in these areas, we need larger number of quality hotels not only in the state capital but also spread out across the state. Please tell us something about the Travel Mart that has been organised by the ministry in Delhi this year. What is your objective and how are you promoting it overseas? What connect should the overseas markets have with this? Last year we crossed the 10 million mark in foreign tourist arrivals and we crossed a 15 million mark in international tourist arrivals. We grew a very healthy 14.5 pc last year with a revenue increase of 19.2 pc. The global tourism only grew by five percent last year. So, we have done well but, I am not happy with the numbers. India is an incredible country and has 36 UNESCO monuments, about 6,500 protected heritage sites, 8,000 kilometers of sea coast with beaches and we have tropical forests, backwaters of Kerala and of course, Hampi – the famous capital of the Vijaynagar Kingdom. Tamil Nadu and Andhra Pradesh have spectacular temples and Rajasthan has the biggest fortresses in the world. A lot of the palaces have been converted into luxury hotels. Our luxury trains – the likes of which you will not find anywhere in the world. We also have the forts of Chhatrapati Shivaji in Maharashtra and the sand dunes of Gujarat. Of course, 70 pc of the Himalayas is in India. So, we have something for everybody. Our punch line is – Don’t just come to see India. Don’t even just come to experience India. You come here to be transformed. You will never be the same again if you come to India. Now, take some of our promotions for yoga. It has become completely repackaged. Our yoga programme is only 60 seconds and all our promotions are 60 seconds because beyond that, nobody has time. Traditional yoga is for all people and it is the same with Ayurveda. Yoga and Ayurveda come from India’s traditional philosophy, which says you and I are one. The rest of humanity is one and we go beyond that – the whole universe is one and therefore, happiness is indivisible. Now, on the back of the strong growth that you experienced last year, what is the target for this year? Well, I fixed a target where we want to double our foreign tourist arrivals in three years. So, it’s not just for a year because a lot of these initiatives will only produce results after a year or two. Foreign tourists don’t decide to travel overnight. So, all these are taken with a period of three years in mind and we want to double the number of foreign tourists in three years. We want to double our revenue. Last year, our revenue was USD 27 billion. We contribute seven percent to the GDP, 12.6 pc to employment and during the past four years, we have created 14.62 million jobs in the country. Therefore, I want to double all these things in three years and I have a target of USD 100 billion in five years from foreign tourist arrivals. What about the challenges on the way? Of course, there are many challenges on the Buddhist circuit. We don’t really have too much infrastructure in a lot of these places. I had a meeting with the Road Ministry wherein we were putting together a fantastic four lane, six lane roads connecting the entire Buddhist infrastructure. Along with that, convention centers and amenities centers, a whole lot of stuff is going on. There are 490 million Buddhists in the world and they are all big travellers and big spenders. So, I have to get a pie of that. Another focus is China. China has the biggest outbound – 144 million and India gets only 250,000. If we even get 10 pc of the number that would be 14.5 million. It is a five hour flight from India. So, these are some of the big areas that we are focusing on. Moreover, we don’t have expertise for strategy concerns, advisors, consultants or PR agencies who will advise us. Something that let’s say, China has. For big markets, we are going to have strategic advisors, PR agencies, and a whole lot of stuff, backing our knowledge. What about traditional strong markets? How important are they to you? Well, our biggest market is the US, followed by the UK and obviously Bangladesh, because they are our direct neighbours. They come here for shopping, and for medical help. So, we have a big focus on that. We have an office in Frankfurt, which co-ordinates the entire Europe and we are opening one in Moscow. We are also opening an office in Beijing. Our focus is not only through offices but also through PR agencies so that we know how to increase these numbers dramatically. The French are a very particular kind of tourists and I think that they would be ideal tourists for India because they are both culturally and heritage inclined and they like to interact with society. How are you targeting this segment of the market? I agree. This is the ideal place for French tourists because they are a civilised nation and they love art, culture and tradition. India too has a rich heritage, with colourful, beautiful, fantastic music. India has amazing cuisine which is something the French would love – the cuisine, the music, the art – the performing art, the craft of India, the luxury that our hotels offer, the palaces which have been converted into hotels, the fortresses. I think, overall the French would love India. France gets the second highest number of foreign tourists into the country that was about 75 million in last year. So obviously, we are addressing these issues and we will ensure that a big focus is on France, certainly. 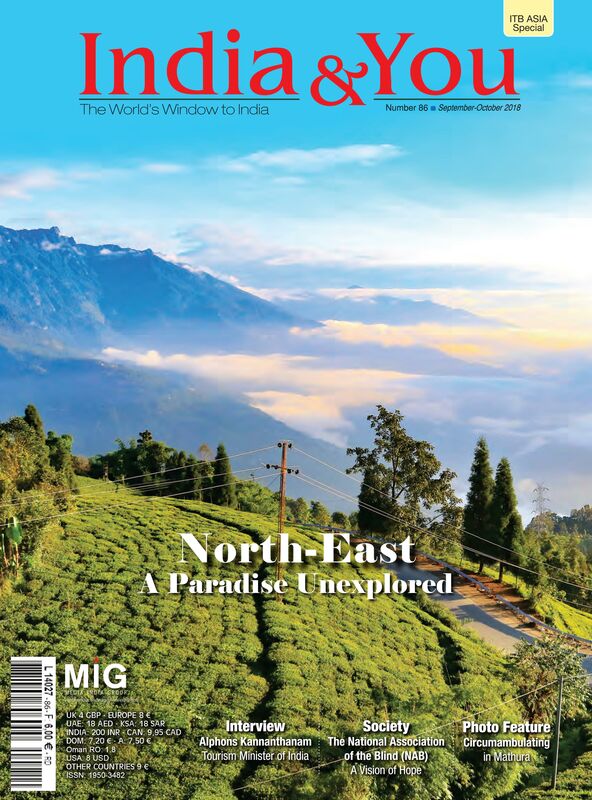 Are you promoting north-east in Europe, notably through events like IFTM in France where traditional circuits like the Golden Triangle and Kerala are prominent? Certainly, these are the areas where international tourist circuit is known. So, these places will be a big focus for us. We will try to develop new destinations like Khajurao – a temple complex of eight temples built from the 9th to 11th century. These are the most spectacular structures I have seen anywhere in the world. Go and see Ellora – a whole mountain carved into a temple, Hampi – the capital of Vijaynagar. To all these spectacular places which the world doesn’t know about, we want to take the people there. Even Sarnath, near Varanasi where Buddha delivered his first sermon, is amazingly well preserved. 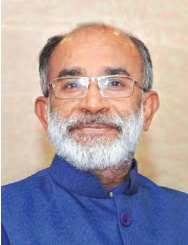 Ever since Sri Lanka opened up, anyone can see a lot of tourists coming towards India have been diverted either partially or completely towards Sri Lanka, in the sense that it connects to south India. How are we to compete with our neighbours? I don’t have a problem at all. I think that Sri Lanka is doing very well and a lot of tourism is going there. We will also find ways to attract people. We have, take for example, the Buddhist Circle – the place where Buddha lived. If somebody offers an alternative, I don’t know how credible the alternative would be. This is the place you want to experience – Taj, Khajurao, Ellora, etc. You won’t find these anywhere else. But, as a minister, do you think that you have enough funds at your disposal for this marketing campaign? This year I am spending INR 4.54 billion in international marketing and INR 1.5 billion for domestic marketing. That comes to INR 6 billion, which is almost USD 100 million. That is a lot of money we are spending on promotions.